No batteries needed to fly our toy helicopters, just wind the rubber band motor and these CopterToys will fly up to 25 meters into the sky. Assemble easily in minutes and then great to chase and catch for many flights and hours of fun. Come in clear protective packaging with bright colored graphics and hang tabs for easy display. 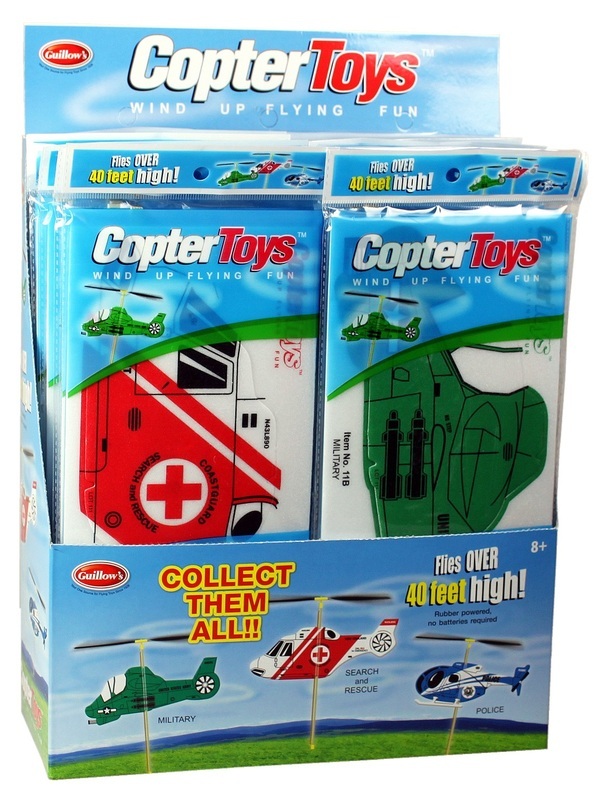 Assorted display will have eight of each different toy helicopter.